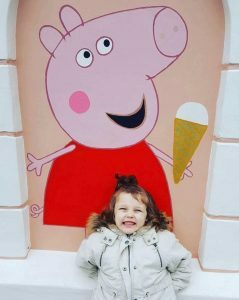 In October we sent Kennedy to Peppa Pig World. 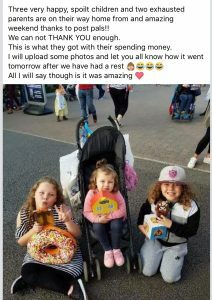 Kennedy and her siblings were sent with an ‘Extra Smiles’ card with a little bit of spending money and a message telling them they are going to Peppa Pig World. 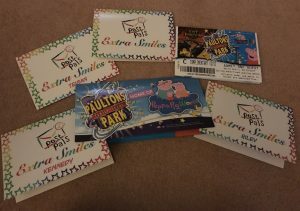 We sent them for the weekend, staying in a lovely hotel at the bottom of the drive of the park and with spending money for travel and food, and of course tickets for 2 days park fun! 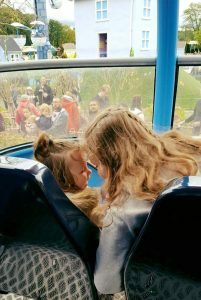 They had an amazing time, I think the smiles say it all.